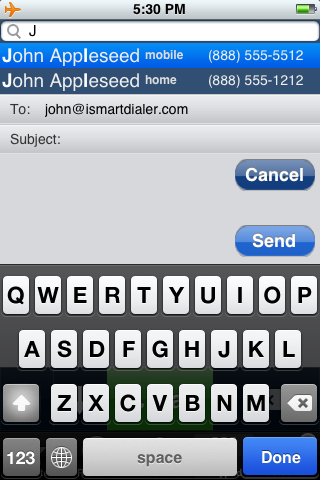 iSmart Dialer adds layers of functionalities to your "Phone" Application. Including: Searching for contacts using the Keypad, Speed Dial, Auto-Complete, SMS / E-mail from inside the dialer and much more. Now TRY it for 10 days FREE! * New - Includes iFoto features (On Rotate & Favorites)! Use the familiar and large 9-buttons only numeric keypad. 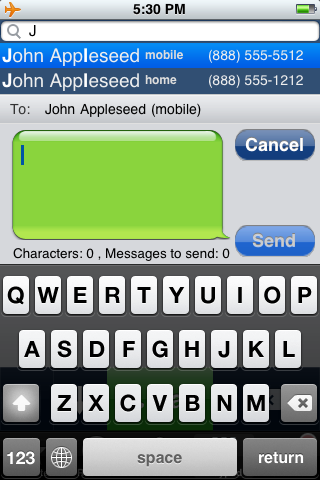 Why use small keys and make calling or SMS/Email sending more difficult? Smart logic search that shows the recent calls you made, your favorites and the new Speed Dial contacts before the other search matches. Advanced Setting screen with many easy to use configurations, which you will just love. The ONLY with Multi-Language support. Quick loading. Start searching or dialing with iSmart Dialer immediately! Search mode: find contacts by first, last or company name by using only the numeric keypad. The familiar phone number display turns into search results screen. 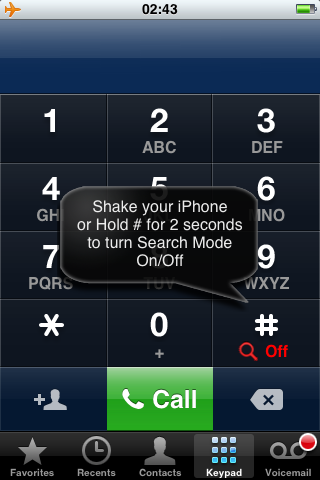 Shake or Tilt your iPhone to turn on/off search mode fast (or just hold # for 2 seconds). Search bar: shows the letters you typed for searching. Smart logic search: shows the recent calls you made, your favorites and the new Speed Dial contacts before the other search matches. Instant Search: even if you have more than 1000 contacts. 3 Types of search results sizes to choose from: 1, 2 or 3 per screen. Up and Down arrow keys to scroll through the search results. you can choose between large and small arrow keys. Tap on the search results screen for an easy "Finger Scrolling". Clear all letters in search bar by holding the delete key. Press for 2 seconds on a result for contact information and editing. Call, SMS or Email from inside the dialer. 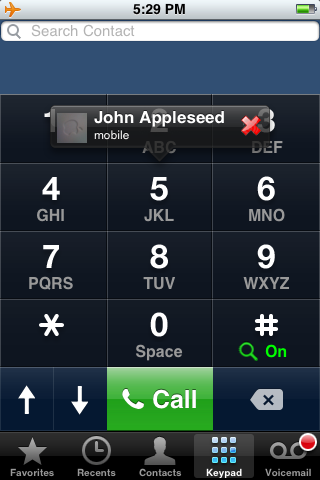 Auto-Off search mode when you start dialing a number. 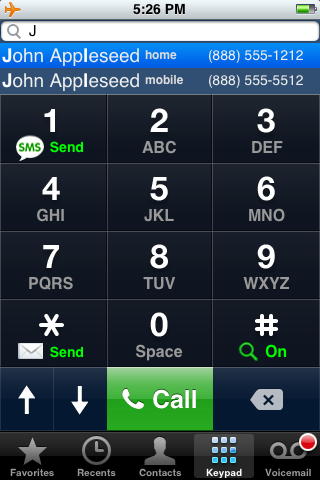 Speed Dial: Assign 'Speed Dial-Favorites' to keys 1-9. Hold one of the keypads for 2 seconds to assign a contact/number to it or, after the assignment, to speed dial the contact. Multi language support: Unlimited number of languages for simultaneously searching and up to 2 languages to be printed on the keypad. Enable/Disable Keypad Vibrate and Sounds.